What is the benefit to selling my life insurance policy? Do I qualify to sell my life insurance policy? Who do I talk to if I want to sell my life insurance policy? I’ve heard a lot of different names for this process, like life settlements, viatical investments and settlements, accelerated death benefits, etc. What do they all mean? Is selling my life insurance policy legal? A life insurance settlement is the sale of a life insurance policy to a third party. The settlement results in a paid value in excess of the life insurance policy’s listed cash surrender (cash-out) value but is less than either the face value or death benefit. The purchasing entity takes over payment of the policy premiums and, in exchange, receives the death benefit when the original policyholder dies. People decide to sell a life insurance policy for different reasons, but often they sell to free up a lump sum of cash that would otherwise still be invested in a policy. The cash is often used for medical bills, retirement expenses, pay off debt, or supplemental income. For more information, click here. Selling your life insurance policy is a much better alternative to continuing to pay a premium for an insurance policy that you do not need or is not affordable for you; or worse, allowing your policy to lapse and forfeiting everything you have already paid in. Review some of the other benefits and read some case studies here. 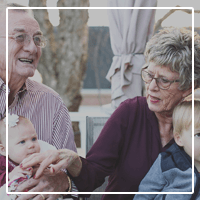 People who qualify for life insurance settlement are generally age 70 or older, in poor health or have a life expectancy of fewer than 15 years, and have a policy with a face value of $100,000 or more. For more information, please see our information on qualifications here. To sell your life insurance policy, you’ll work with a life settlement broker. Your broker will solicit and negotiate the settlement of your policy. In most states, a life settlement broker must be licensed. For more information read here or to find a qualified life settlement broker, contact us at Global Life Settlement. 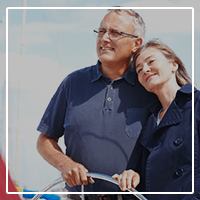 The life insurance policy value is based on a number of different factors, including age, life expectancy, death benefit, and monthly premium rate. The value of a life settlement is less than the death benefit but more than the cash surrender value. For an easy, quick, and free evaluation of your policy, please give us some information about your policy. Once a policy qualifies for settlement, we take the policy to a secondary life insurance market, where investors competitively bid on the policy. If you were to choose to accept the highest offer, the policy would then be sold to the investor, and you would receive a lump sum cash settlement in return. At Global Life Settlements, we take your privacy very seriously. In addition, most states regulate life insurance settlements so that your privacy is protected. Strict rules govern the disclosure of the financial and medical information needed for a life insurance settlement, and nothing is done without your explicit written consent. 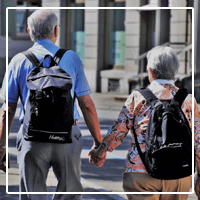 If you choose to move forward with the life settlement process, your identity, medical data, and/or financial information can be disclosed, but only for very specific purposes. We disclose this information if required by an investor/financial entity to finance the purchase of your insurance policy, to determine your current health status, or to purchase stop loss coverage. With that said, rest assured that we do not make any disclosures of your private, personal information without your expressed written consent, and we provide full disclosure specifics to promote the highest level of transparency. The bottom line: There are a lot of intricacies when it comes to life insurance settlements, and Global Life Settlements is here to help. Please contact us to speak with a friendly advisor. Institutional investors (such as banks, hedge funds, pension funds, and insurance companies) are typically interested in purchasing life settlements because this type of investment offers long-term investment potential with a favorable return on the investment. Yes! Life insurance settlements are legal, and most states regulate the process to fully protect citizens. In addition, states require complete transparency in every transaction. For us, this means that, as life settlement brokers, we are required to inform you of all offers, rejections, or counteroffers during the bidding process, as well as a full disclosure of the compensation.